Today was sunny and hot as were the previous few days since we came to Sirmione. 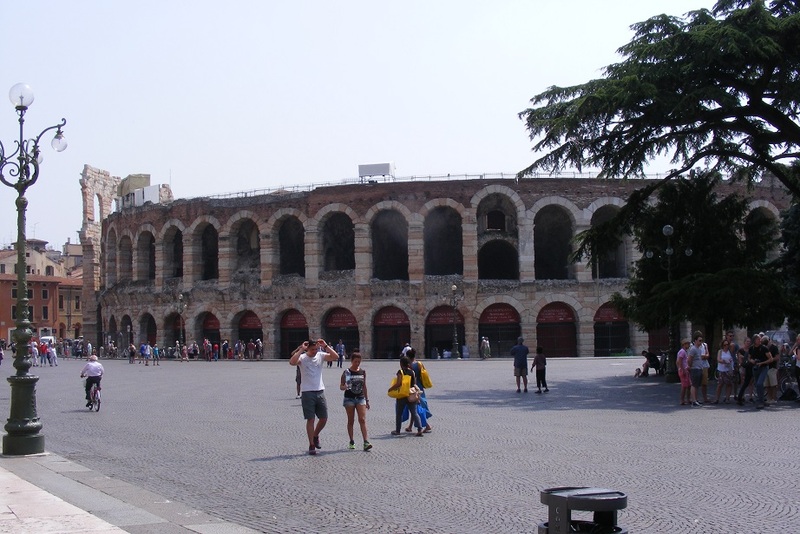 We caught a bus to Verona and we arrived at about 10.45. First stop in the Piazza Bra, close to the Arena, was a cup of coffee. After that we progressed through Verona by way of Via Mazzini where all the nice shops are. 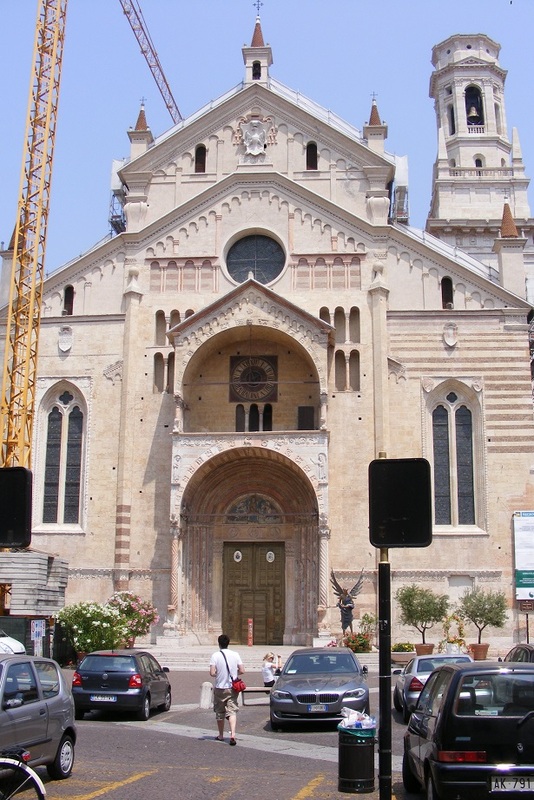 On Mondays museums and art galleries are closed all over Italy. 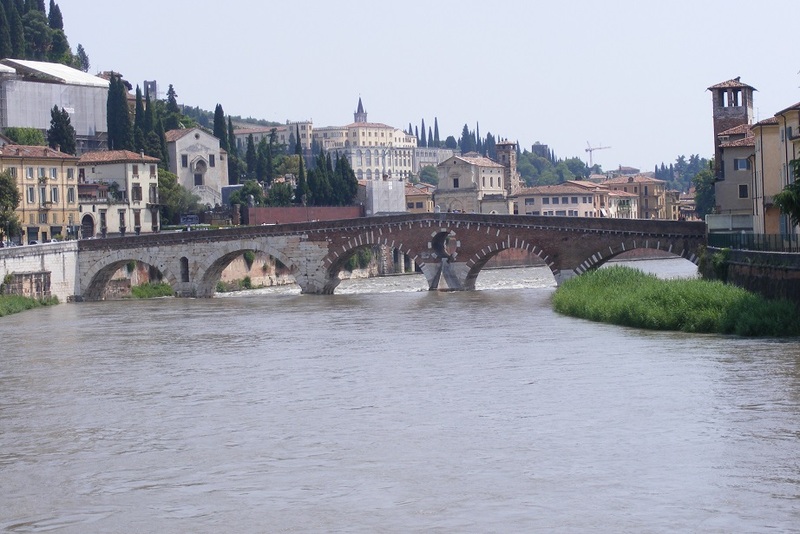 We wanted to find a viewpoint indicated on a street plan on the other side of the River Adige. We failed to find the viewpoint traipsing up some steep hills in the vicinity. We retreated back towards the river, stopping at a wayside bar for a sandwich and drink. Continuing on, we looked in at the Duomo, but did not go in. We returned through the Piazza Bra to pick up the return bus to Sirmione, compounded only by re-arranged bus stops due to roadworks in the road that the bus stop were. 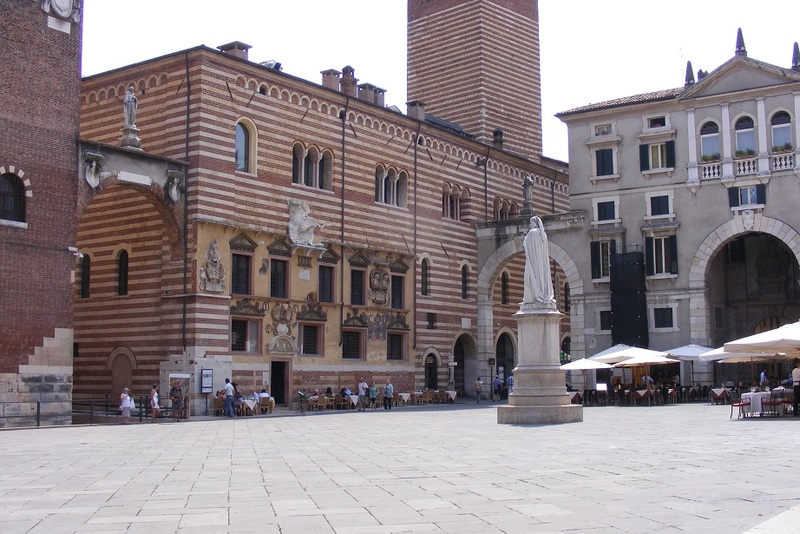 Piazza della Ragione with Torre dei Lamberti rising above the striped stone palazzo. We went up the Torre dei Lamberti - part lift and part stairs. 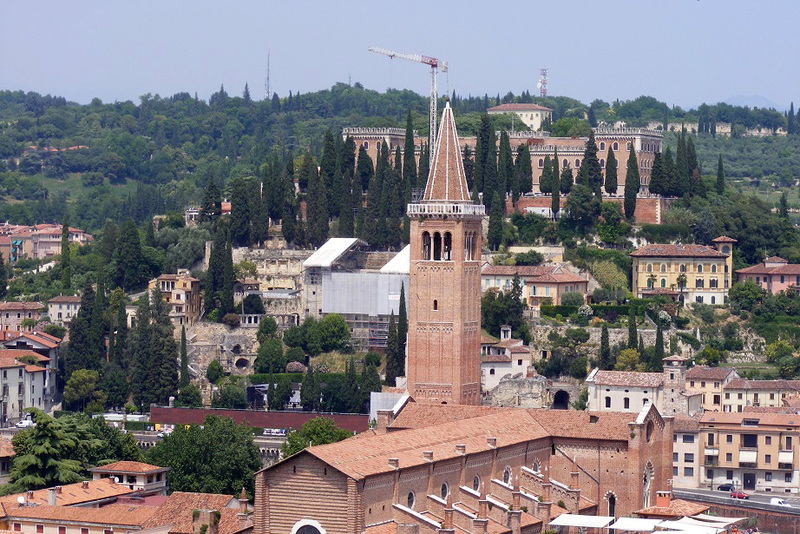 There is a very good view over Verona. Palazzo della Ragione NB the beautiful striped effect from the stones used. 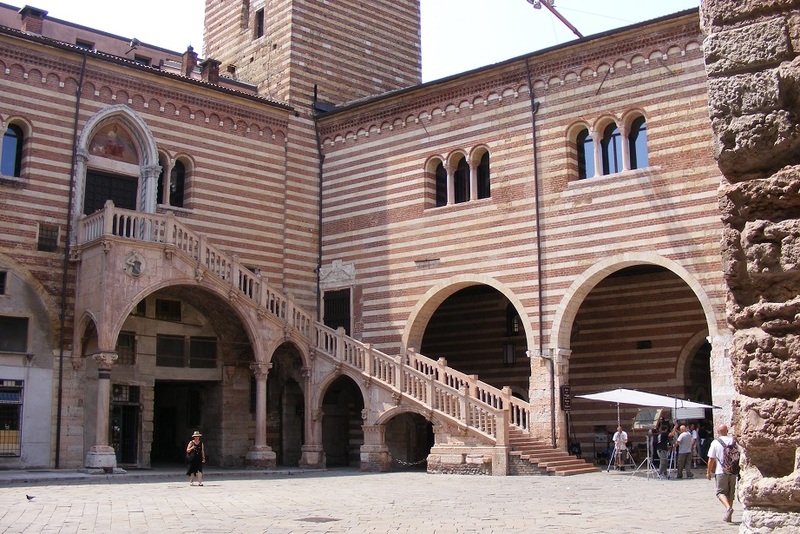 External staircases were prevalent in early Renaiscence. View from the Torre dei Lamberti View from Torre dei Lamberti towards the Arena.